Move To New Zealand provides help and support for the New Zealand Immigration process. If you’re from the UK, USA or anywhere else, we can help. We help you make sense of Immigration New Zealand (INZ) policy! If you’re feeling a bit lost, then you’ve certainly come to the right place! Join our forums and get all the help you need to get your new life in New Zealand. Many thousands of people embark on immigration to New Zealand, so you’re not alone!! If you’re considering using an immigration adviser based in New Zealand, make sure they are fully licensed under the new Immigration Consultancy licensing laws. From May 2010, immigration consultants worldwide must be licensed. our member Glenda - Click here! 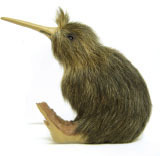 Laid back culture - The Kiwis are renowned for their laid back attitude to life. They work hard, and play just as hard! The Great Outdoors - New Zealand is a very ’outdoors’ nation, with most entertainment involving some outdoor activity or another! Social Status? - What social status? Kiwis pride themselves on living in an environment where social status means very little. If you are rich or poor, they all play the same games! The majority of NZ immigration content on this site relates to potential migrants emigrating from the UK, USA and Australia. If you’re looking to emigrate to NZ and have any questions, please use our Move To NZ immigration NZ forums. Move To NZ will always give free advice on New Zealand Immigration. If you are interested in supporting our future, you can find out how by clicking the link below.